Iowa Governor Terry Branstad has been recognized for his unwavering support of ethanol as the recipient of the RFA 2016 Industry Award. The Industry Award is bestowed annually to individuals that demonstrate great dedication and innovation within the industry. Since the governor had a conflict and was unable to attend the National Ethanol Conference in New Orleans this week, Absolute Energy president Rick Schwarck presented his award earlier this month in Des Moines. 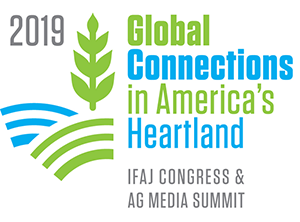 “Governor Branstad, you have been one of the most passionate, articulate, and effective advocates for value-added agriculture, farmers, and ethanol,” said Schwarck in a video of the presentation shown at the NEC. Gov. Branstad is the longest-serving governor in American history, and is currently serving his sixth non-consecutive term after first being elected to office in 1983. Bob Dinneen, RFA president and CEO, noted that the governor has been a stalwart champion of the Renewable Fuel Standard since its inception. Dinneen noted that Gov. Branstad attended the very first National Ethanol Conference held in Des Moines in 1996, during his first stint as Iowa’s governor, and was presented with an award at that time as well.